Thirty local musicians gather together to jam and revive the magic of The Last Waltz! A local tradition continues...with a twist! Nearly 30 local musicians will once again gather on stage to recreate the historic performances of The Band's The Last Waltz and celebrate the original concert, which took place November 25, 1976. This year they'll be joined by the Dayton Philharmonic orchestra under the conduction of Neal Gittleman for Such A Night: The Last Waltz Live In Dayton. The original film The Last Waltz documented The Band's final concert, and it featured performances by Dr. John, Neil Young, Joni Mitchell, Neil Diamond, Van Morrison, Emmylou Harris, Muddy Waters, Paul Butterfield, Eric Clapton, and Bob Dylan. Proceeds from the performance benefits member-supported WYSO Public Radio. This annual concert always sells out - be sure to buy your tickets early! 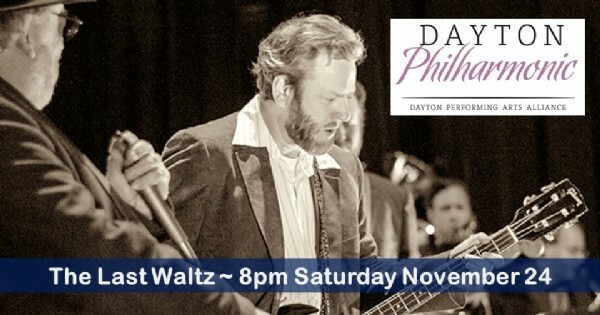 Find more events like "The Last Waltz: Live with the Dayton Philharmonic"
The Dayton Philharmonic is our regional orchestra under Music Director and Principal Conductor Neal Gittleman.